Sometimes, we think sweet romances are light-hearted and fun, which they can be. The word sweet connotates sugar, dessert, celebrations, and happy times. We have sweets at birthdays, anniversaries, and parties. But dark and serious topics do have their place in "sweet" romances, because they explore life as it sometimes can be. Here are five characteristics of my darkly sweet romances. 1. Emotional characters who have strong convictions. Characters who are strange or different are not always likeable. They may have a one-track mind, are overly sensitive, paranoid, or critical. These characters are on a mission. 2. A boatload of drama in the plot line filled with difficult or impossible situations. 3. Mysteries with plenty of plot twists and unexpected endings. 4. Tortuous love story with lots of angst. 5. Honesty in internal thought, even if it makes the character look bad. To me, it makes the character more authentic. Readers may squirm because it reminds them of their own dark thoughts they don’t want anyone to know. Some readers are looking for an escape and do not appreciate gritty characters who make bad choices. What about you? What are the characteristics in fiction you most like to read about? What can authors do to make that more believable and enjoyable? Broken Build and Hidden Under Her Heart are two of my gritty, but sweet romances. In Broken Build, Jen Jones' shady past ruined of the man who would become the man she falls in love with. 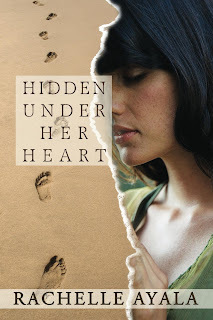 In Hidden Under Her Heart, Maryanne Torres made some mistakes and is haunted by them when she decides to have an abortion and her new boyfriend heavily discourages her. 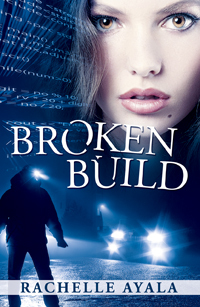 Broken Build is FREE at your favorite ebook vendor. Both books carry an inspirational message. I hope you'll be uplifted by these sweet suspenseful romances. I do enjoy reading stories that have a lot of humor but it's the ones with more depth and suspense that are my favorites. So true, Rachelle. Good article. Excellent topic, Rachelle. And so true. I love books with a lot of angst as long as there is a happy ending. Sounds like a good topic for our weekly question on the café.